The combined law enforcement operations conducted by 71st Infantry (Kaibigan) Battalion Intel units, 1001st Brigade, 10MIB, ISAFP, PNP and CIDG Tagum City resulted to the neutralization of NPA Deputy Secretary on April 15, 2019 at Brgy. Canocotan, Tagum City. A timely information from a concerned citizen that group of Communist NPA Terrorist (CNT) under A.K.A Jay Pogs was seen at vicinity Brgy. Canocotan, Tagum City. It allowed Lieutenant Colonel Esteveyn E Ducusin, Battalion Commander of 71st IB to immediately take action. Lieut. Colonel Ducusin immediately ordered the troops to monitor and confirm the veracity of said information. After the information has been confirmed, at about 4:00am, a combined law enforcement operation was conducted to serve the warrant of arrest against A.K.A Jay Pogs in their safe house at Brgy. 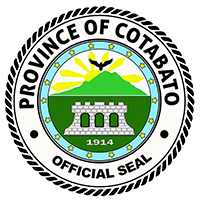 Canocotan, Tagum City, Davao Del Norte. A.K.A Jay Pogs has a standing warrant of arrest for Serious Illegal Detention with Criminal Case Number 8703-2013. Upon the knowledge of the presence of the troops, immediately the undetermined number of CNTs fired at the operating troops, the troops responded which resulted to five (5) minutes fire fight. A.K.A Jill armed with one (1) M16 rifle loaded with nineteen (19) ammunitions was killed while her comrades and Jay Mendoza A.K.A Jay Pogs who was an Executive Commander of Weakened Guerilla Front 2 (WGF 2) escaped leaving behind A.K.A Jill. A.K.A Jill with true name Cindy Terado is the Deputy Secretary of Weakened Guerilla Front 2 (WGF 2), Sub-Regional Committee 2 (SRC 2), Southern Mindanao Regional Committee and said to be the live-in partner of A.K.A Jay Pogs. At the vicinity, planted IED was recovered along with cellphone, residuals of drug paraphernalias and subersive documents. White envelopes believed to be material for extortion were seen inside the house. “I thank all the concerned citizens who keep on giving a timely information, it just means that they no longer want these terrorist groups in their area.” Ducusin said. “I will reiterate that our bounded duty is to protect the people and secure the land. One way to do so is to continue military operation because we need to pursue CNTs to eradicate them as well the problem they are creating,” Ducusin added. The cadaver of A.K.A Jill is under the custody of PNP Tagum for proper disposition while a pursuit operation is still ongoing.